Leo Buring was a trained oenologist, a winemaker and viticulturist, wine judge, wine educator, local government councillor, businessman and promoter, yet far more people know the wine by his name than the remarkable man behind the label. Leo Buring was a visionary of enormous energy, as we shall see. From the turn of the century through to the sixties, Australia was a cultural wasteland. Few Australians enjoyed good food and wine in those decades unless they travelled overseas. Medical doctors, lawyers and graziers did, and they were about the only ones drinking fine wine back home, supplied by a few merchants in the know. Most Australians went home to a dinner of meat and three veg, and a bottle of Resch’s Dinner Ale. 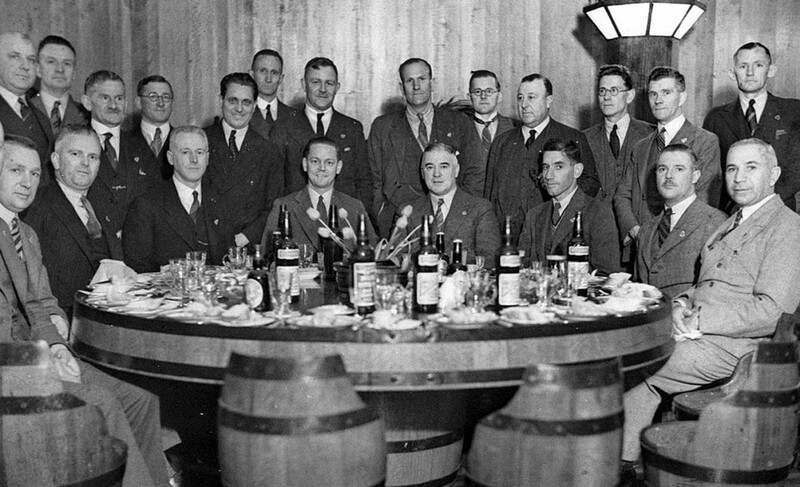 Unsung Heroes – Wine Men who changed the Way we Live is the story of the wine merchants who introduced us to table wine wine and more interesting food in the late fifties. Leo Buring’s life came to an end just as the new era began: 1961. He was 85. Riesling is the only wine now made under the Leo Buring label, which is these days owned by Treasury Wine Estates (who also own Penfolds, Wynns, Lindemans and many more venerable labels). Leo’s life took many turns before he ended up producing some of Australia’s greatest Rieslings. Hermann Paul Leopold Buring was born on October 7 1876 at Friedrichswalde in the Barossa (renamed Tarnma during the Great War). The Umlaut over the ‘u’ was likely lost earlier. Leo graduated as dux of Roseworthy Agricultural College in 1896, then went to Europe to study at Geisenheim and Montpelier. He returned to Australia to work at Springvale, Rutherglen and Great Western, and then at Minchinbury near Rooty Hill on the outskirts of Sydney from 1902 to 1919. 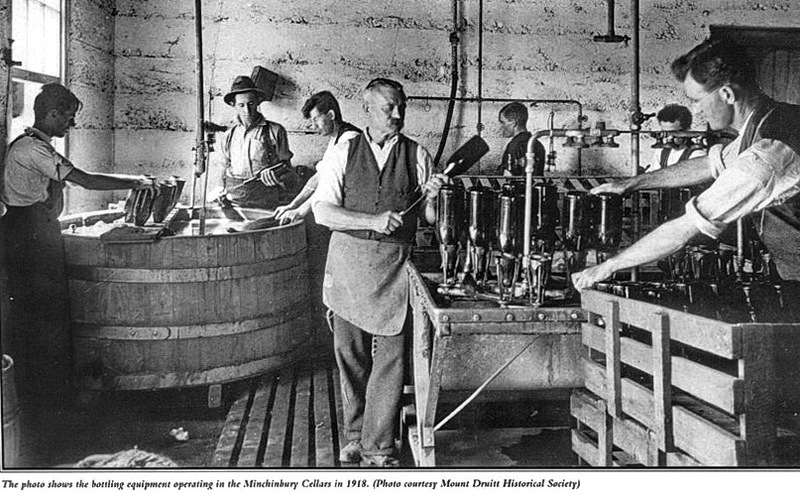 Frank Penfold Hyland bought the Minchinbury vineyards and cellars in 1912, and put Leo Buring in charge. Leo had worked in the Hans Irvine cellars at Great Western (later acquired by Seppelt), and had been making sparkling wine at Minchinbury. Penfolds put the Minchinbury label on the map and made it one of the best in the country by the sixties. Southcorp and Fosters, who ended up with the label, trashed it in the eighties and nineties. Leo Buring left Minchinbury in 1919 and worked as a consultant to other wineries around Australia until he set up Leo Buring Pty Ltd in 1931. He was a director of Lindemans and of H. Buring & Sobels Ltd. from 1934-1960. The Buring in that Clare Valley company was his older brother Hermann, and the company was better known as Quelltaler. 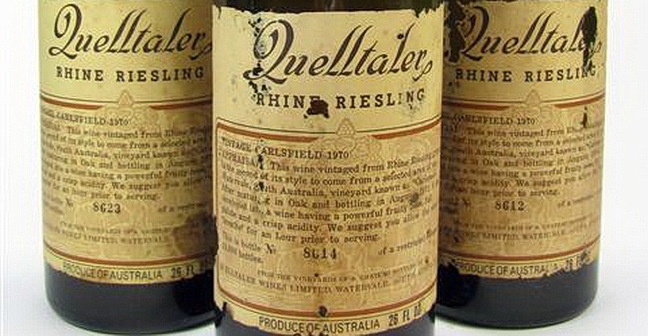 One of the best Aussie Rieslings I’ve ever tasted was a 1984 Quelltaler Riesling, made by Michel Dietrich who was brought out from Alsace by new owners Remy Martin. We drank the last bottle around 2010, and wished we’d bought more cases of it. Quelltaler was sold to Melbourne wine merchants Nathan and Wyeth (owned by Remy Martin) in the seventies, then sold to Wolf Blass in the eighties, then sold to Southcorp in the nineties, and acquired by Fosters in naughties. That’s how Quelltaler ended up in the graveyard of Treasury Wine Estates, the wine arm of Fosters, alongside Minchinbury sparkling wine. They changed the name of the winery to Annie’s Lane. One of Leo’s hobbies was gardening, and he grew winter-flowering roses as a commercial venture. He also served as a councillor of the Blue Mountains Shire from 1937 to 1944. During that time, he built a 19-hole golf course on his property, the Leonay Country Club, which later became the Penrith Golf Club. Among the many guests they entertained were Laurence Olivier and Vivienne Leigh. Most of the property was sold to developers after Leo’s death in 1961, but Nay continued to live in the residence. Like Minchinbury, Leonay is now a suburb of Sydney, bounded by the M4 Motorway, the western railway line and the Nepean River. More Here. Leo Buring’s warehouse and bottling plant at Redfern has been turned into a block of boutique apartments called The Winery. I can’t find a single reference to the wine Leo made from his estate at Emu Plains. Can anyone help me out here? 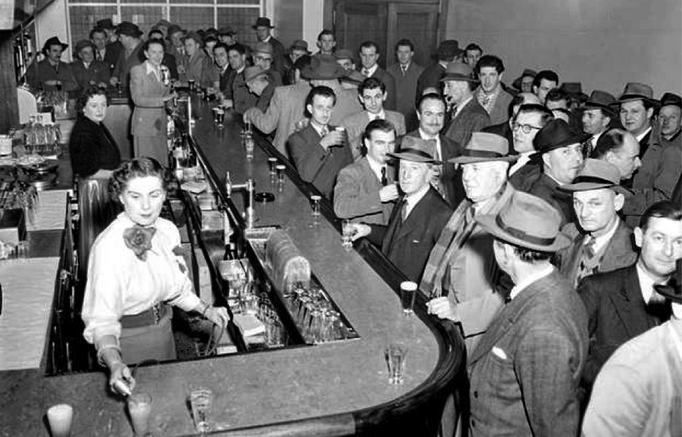 Leo opened the cellar in George Street, Sydney, in the 1930s to promote Australian wine. 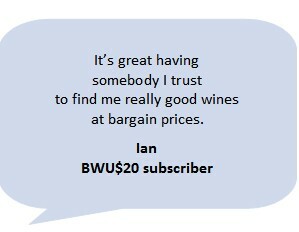 I remember walking past the inviting-looking street window near Wynyard in the late sixties, with its bread basket and bottles of wine in their own serving baskets. I never went in and, by the time I developed an interest in wine, it was gone. TWENTY TWO MEN SEATED AROUND THE BARREL TABLE. SOURCE: STATE LIBRARY OF NSW. This part of the story is better documented. Leo Buring bought the Orange Grove Winery at Tanunda in 1944 and renamed it Chateau Leonay. He also bought the Florita vineyard in the Clare Valley and planted it to Pedro Ximines and Palomino to make Chateau Leonay Florita Fino – sherry was the drink of the day. He also sold Sparkling Rhinegold and Liebfraumilch, made for him byIan Hickinbotham at Kaiserstuhl. In 1955 Leo hired a young John Vickery pretty much straight out of Roseworthy to make Riesling from selected vineyards in the Barossa, Eden and Clare Valleys, and these wines set a new standard for Riesling down under. Ray Kidd, the MD of Lindemans, bought Chateau Leonay in 1962 and kept John Vickery on. They replanted the Florita vineyard to Riesling, and it became one of Australia’s best Riesling vineyards. It’s now owned by the Barry family. What an incredibly rich and productive life Leo Buring lived (or should I say several lives?) and what a legacy he left. His name still lives on a label that graces good Rieslings, but no longer made from the same vineyards or by the same winemaker. You can buy the Leo Buring Clare or the Eden Valley Rieslings for as little as $15, and there’s a Chateau Leonay made from Tasmanian fruit for about twice as much. I bought a dozen of the 2013 Clare Riesling not long ago because it had that wonderful fruit intensity I love in these wines. John Vickery is still making great Rieslings today, at the age of 83. More in John Vickery is to Riesling what Max Schubert is to Shiraz, in some ways the continuation of the Leo Buring story.